Destiny, a video game in which big publishers make mega-deals to deprive players of content and then somehow convince fans that this is a good thing, is no longer relevant thanks to the recent release of Destiny 2. But hey, Xbox players, at least now you can get Jade Rabbit. As of this week, Destiny’s PlayStation-exclusive content is no longer PlayStation-exclusive. Weapons like Zen Meteor and strikes like Echo Chamber are now available to Xbox players, after being locked away from that platform for months and months. (You can find the full list on Reddit.) And it only took until four weeks after Destiny 2 came out! Of course, this is one of the grossest practices in video games, and it’s one that Sony has despicably turned into a selling point for its games. Come buy Destiny on PlayStation, because we paid Activision to keep weapons and maps away from other players. Because of these maneuvers, Xbox players spent the same amount of money on Destiny only to get less game. 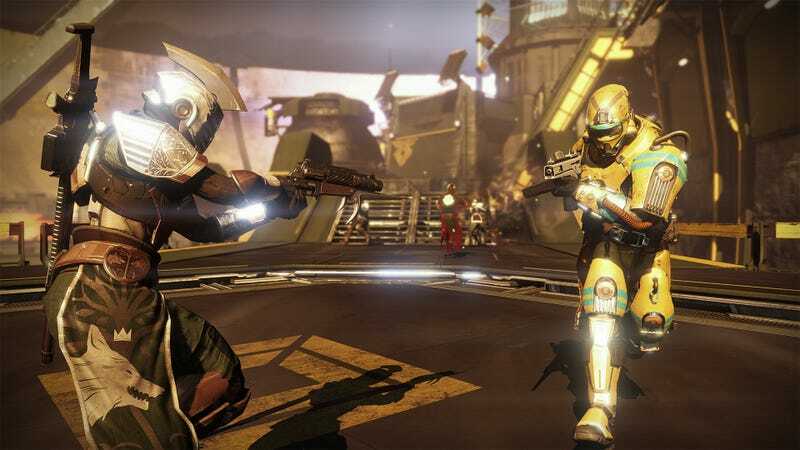 None of these PlayStation exclusives were particularly great, as those remaining Destiny 1 devotees on Xbox will soon find out, but they were locked away nonetheless. Meanwhile, in Destiny 2, PlayStation players are getting “a host of new exclusive content” that we look forward to seeing on Xbox just in time for Destiny 3. Video games!